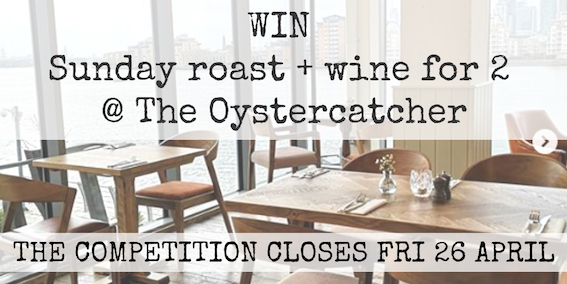 The Oystercatcher teamed up with Greenwich Diary to offer you Sunday roast for 2 with a bottle of house wine! 7.1. The Competition and these Terms and Conditions are governed by English Law. England & Wales shall have exclusive jurisdiction to settle any dispute or claim that arises out of or in connection with these Terms and Conditions. #GreenwichGiveaway competition is in no way sponsored, endorsed or administered by, or associated with Facebook. Would you like to receive weekly newsletter from Greenwich Diary?